From the team that brought you Friendly Felines and Royal Vortex, we are pleased to present Fungi Mystic Mushrooms Playing Cards! You will find a selection of various fungi represented throughout the deck – colorful, digitally hand-painted designs enchanted on a dark background. 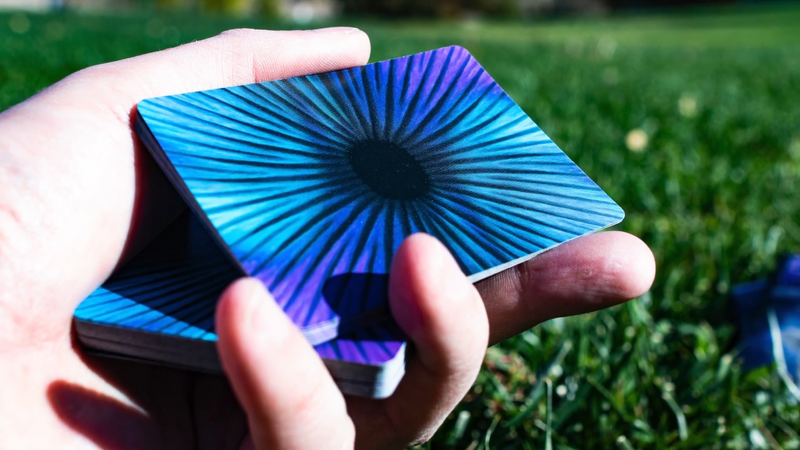 This fun, functional, unorthodox deck can be used for all your playing card needs and makes a great deck for your collection.